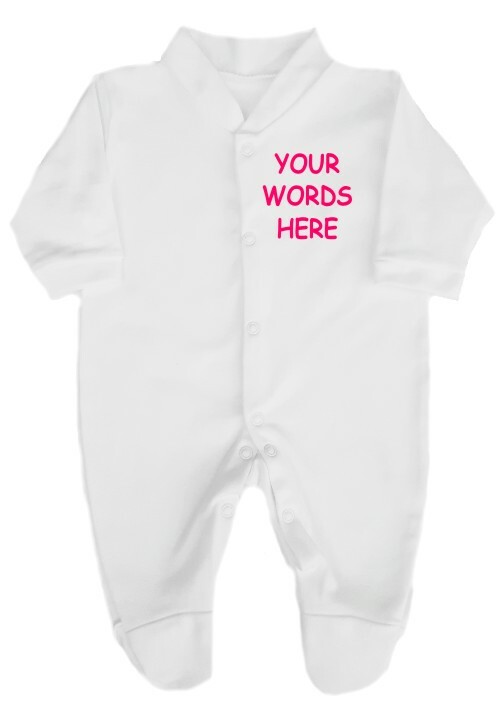 Want something different, here’s the chance to have have your very own personalised babygrow. Choose the font and the colour writing you would like. If you would like a heart please type (heart) if you would like a red heart please type (red heart). Please do not use emoji’s.